This is THE tour for those who appreciate traditional Ukrainian singing! Canada is rich with Folk Choirs and Ensembles, but wouldn't it be great to learn ancient traditional songs directly from their source? Now is your chance!! 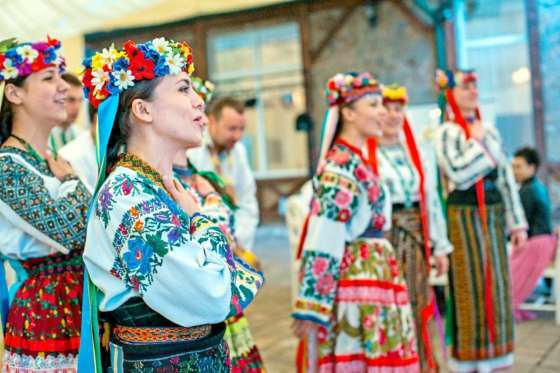 This Vocal Tour of Ukraine will take you to the different regions of Ukraine to learn different stylizations and will have you learning from a variety of sources - from famous state ensembles to babas in villages. Take this once-in-a-lifetime opportunity! 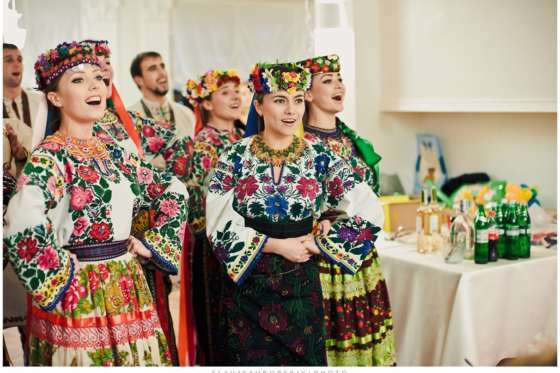 You will be instructed how to sing from deep within to create that traditional folk sound that we hear from many Ukraine Choirs and Ensembles. Your ultimate Ukrainian Folk singing experience awaits! 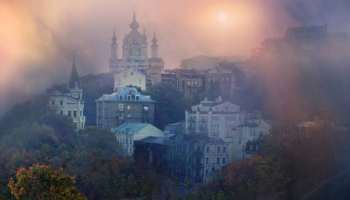 Explore Lviv, the ‘last undiscovered European gem’ during city tours, take a walk to the most prominent places with professional guide which knows everything about this stunning centuries-old city. You will have enough free time to hit the best coffee shops, learn to salsa in the main square, take pictures from the ‘High Castle’ mountain and treat yourself to some delicious chocolate. Oh, you will not want to leave this place! Meet and learn traditions, songs and dances from folk musicians and dancers. Admire the process of making wool blankets – “lizhnyky” while in the village of Yavoriv. Become a pro at ‘Verkhoynski Spivanochky’; enjoy hikes in the mountains, and of course, buy arts and crafts from the best artisans in the area at the famous Kosiv bazaar. Today, as our Vocal Tour of Ukraine continues, you're in for something really special - feel like part of a big family as we arrive in a real Ukrainian village. Walk around, enjoy a joyful celebration, with games, food and some amazing music from local folk musicians; learn hundred year old songs from local Babas, who know more folk songs, rituals and traditions than all ethnographers combined! Visit the most beautiful and important sights in the Chernivtsi, including the stunning University buildings, enjoy a workshop with the masters from Academic Bukovina Song & Dance ensemble. Travel back in time while the excursions in Bukovynian Skansen. Arriving in Lutsk we’ll enjoy some sightseeing in the city, the local fortress and open air ethnography museum and then the REAL fun begins as we get together with the Volyn State Choir! Learn the infamous Volyn style of singing from its roots! Enjoy a pilgrimage through all the iconic city sights; a workshop with Ukrainian song legends – the Veryovka Choir; an insight into folk singing traditions with the help of Rozhanytsia folk band; working with a kobzar at the Ukrainian Village near Kyiv - unforgettable experience of ancient culture and rich history. Sadly, our Vocal Tour of Ukraine comes to an end. It's time to say our goodbyes and fly back home OR on to new undiscovered destinations. On this trip you'll attend epic jam sessions, enjoy workshops with best ensembles, feel true Ukrainian spirit! 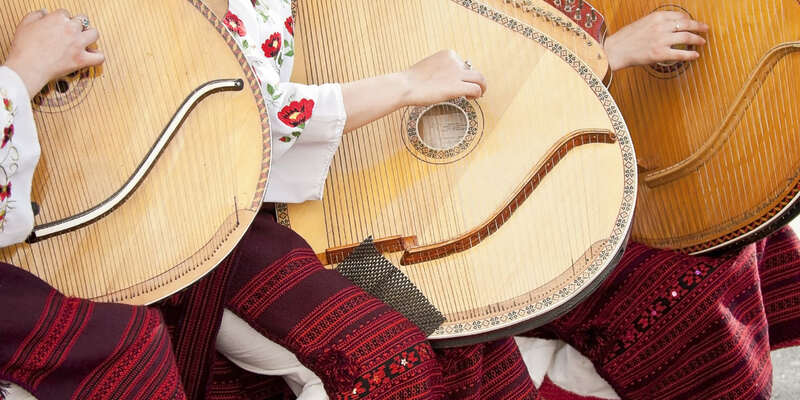 Take this once in a lifetime opportunity to see private concerts from famous Ukrainian ensembles and learn this beautiful craft from it's source! Celebrate Independence Day of Ukraine together with us. *The price will depend on number of travellers. Please contact us to get the quote for your group.